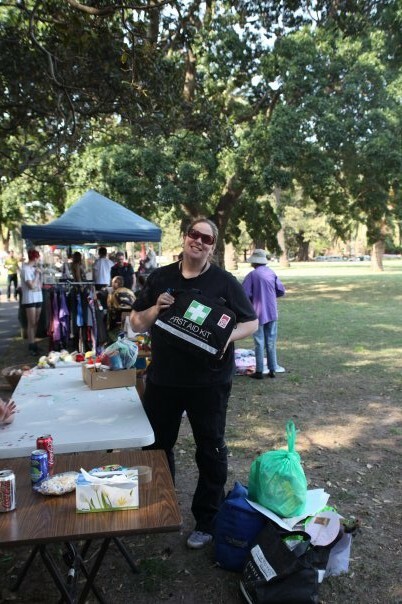 The HCP is a Community Development initiative that aims to support and strengthen community development projects in Redfern and Waterloo. The program is funded by the NSW Department of Housing as a way of increasing tenant participation in social housing communities. 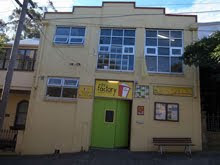 The Factory Community Centre is the auspice of the program and the worker (Edith) is based here. The Factory is very suited to this program as the centre is easily accessible to the community with facilities here that can be used by tenants to support tenant participation projects. Edith is originally from Viña del Mar/ Valparaíso (Chile – South America) most know by tourist as the Ocean’s Vineyard City and Going to Paradise City, both recognised by their beauty, flowers, art scene and coastal towns. It was in the University of Valparaiso where Edith studied Cultural Management and started her career working for different cultural projects in radio, visual arts, websites and developing the local cultural/music scene. Her vast project management experience comes from an interesting history of developing and transforming poor managed projects into successful and popular projects. She arrived to Sydney in 2008 and studied Project & Event Management to have an insight of the Australian culture. With her fate already decided she started to work as a volunteer in the Spanish Community Care Association (SCCA), resident group of the Factory Community Centre where she in coordination with SCCA volunteers increased the group budget in 200% developing the organisation capacity into a more self-sustainable and consistent organisation. 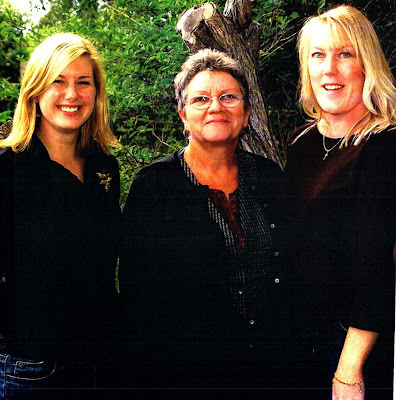 Was here, working for the SCCA that the Factory Community Centre noticed her skills and hire her, at the same time that the legendary Patrick Russell was retiring. Originally from the West Coast of Scotland, Michael started his career working with the local church as a youth worker. Then he went on to become a Team Leader and Trainer for five years at Scotland's largest Citizens Advice Bureau which had an annual turnover of 89, 000 clients and 1`20 volunteer staff. He also served as member of the Board of Directors for Glasgow's LGBT centre for two years. Michael has also worked with various services within the social care sector where he engaged with a diverse range of people, as a senior support worker. 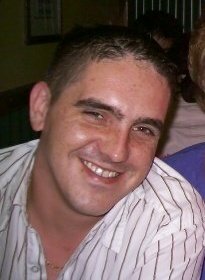 Then Michael moved to Fife, and after a short period as a home career for Fife social worker Department he went on to become the Resource and Advice manager for Levenmouth homeless Trust. Here he had responsibility for the development of two Resource and Housing Advice Centres, Needle Exchange Services, implementation of Home Point Standards, developing service user involvement. This work eventually led to the merge of voluntary and statutory sector services in joint management of projects in tackling homelessness now known as Homes 4 good Resource centres. In addition to this he served as special constable for Fife constabulary for five years at Levenmouth Police Station. This was followed by become a community development officer for Dundee Volunteer Action and overseeing the establishment of their Turnaround project in Charleston Dundee. Their he worked with local residents securing funding and aided them to set up number of community groups and projects such as the Charleston Community health troopers, Charlie’s angles, Charleston befriending project, Citizen Advice bureau outreach service, and resourcing the implementing the Fair share program panel which had over a million pounds in funding for the area. From this he moved to Sydney in 2006 to join the Factory Community centre, team as the HCP community development worker for Redfern / Waterloo and now is the Executive officer/ Coordinator. Mike new role give him overall responsibility for all aspects of The Factory Community Center and it projects within Redfern and Waterloo. This includes pursuing the organisation’s strategic vision, securing funding, resourcing the Board of management, working with and supporting local residents, partner agencies and supporting the staff in their various roles. Joella is at the heart of our team, working with a diverse range of individuals, offering one on one support or lending a hand to our many community groups. Joella previously has worked in a number of positions that are community based for over 6 Years including within Government and non-Government agencies including Department of Human Services and Department of Health. Joella’s wealth of experience, sense of humour, and commitment is valued by the whole team and her role as our Community Support Worker. Joella is able to support people in various ways, through offering assistance on personal matters, giving information, advice and when needed advocate on their behalf to government and non-government organisations. For example the support worker can help you to complete forms such as housing applications or benefit claims, give advice about your rights and responsibilities, Help you access the right community service best placed to help you, write support letters and make referrals, to our partner organisations. Joella also supports the work of our pre-school staff, by been available to our Pre-school and Homework clubs Parents/guardians. She often helps out with the various community groups that use our centre space for their activities, providing support to aid them in organise events such as senior trips, or Swimming groups, or providing 1st class hospitality and catering. Joella was also one of our group leaders when we took 12 children to Represent Australia at the Germany World children Festival. The Community Support Worker Hours are Monday through to Thursday 9 .30am – 4.00pm. Please phone to make an appointment on 96989569.